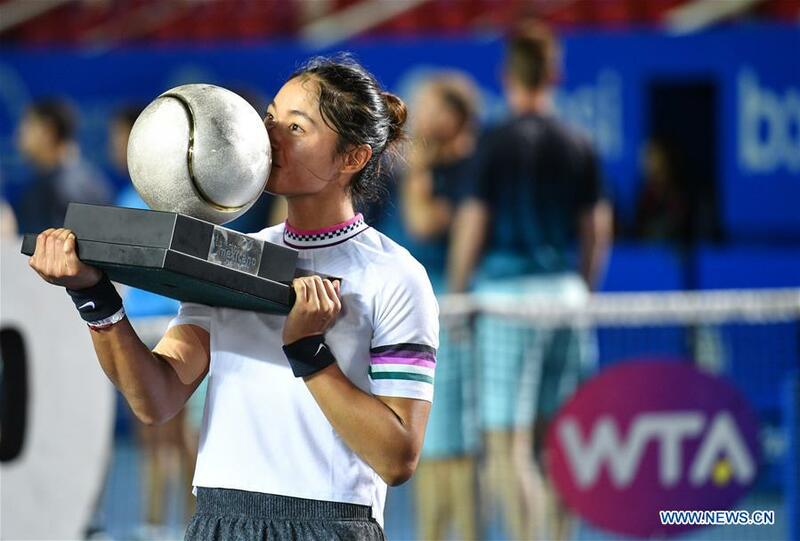 China's Wang Yafan won her first WTA title as she defeated Sofia Kenin of the United States in the Mexico Open final on Saturday. Having never before contested a WTA final, the unseeded Chinese world No. 65 rallied from a set and a break down to defeat No. 5 seed Kenin to take the trophy at 2-6, 6-3, 7-5. The 24-year-old trailed 6-2, 2-0 in the match before finding her feet, while the 20-year-old American began to struggle with her consistency against the the Chinese No. 4. "This is my first time in the tournament, and I really like it here," said a beaming Wang after the match. "It was an amazing week. This is a good tournament and everything is very nice." Wang will crack the top 50 in the WTA rankings on Monday for the first time in her career. Team China already features three players Wang Qiang, Zheng Saisai and Zhang Shuai in that ranking bracket.